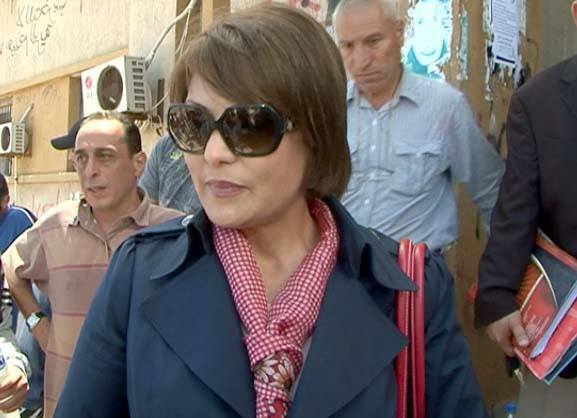 On Thursday 26 June 2014, Libya suffered one its greatest set backs for human rights in Libya since the fall of the Gadaffi regime; the assassination of the prominent human rights lawyer and democracy campaigner Mrs. Salwa Bugaighis. The perpetrators knew precisely what they were doing. Their intent was to send a clear message to all those individuals who oppose change, democracy and a more liberal stance within Libyan society. Salwa was stabbed and shot through the head by gunmen who broke into her house in the eastern city of Benghazi, wounding a security guard and abducting her husband, Essam al-Ghariani, who remains missing according to The Guardian newspaper. Their brutal and wicked silencing of a leading critic of the growing extremist elements in Libyan society will, however, have the opposite effect. This was arguably an own goal. What the extremist elements have failed to understand is the depth of feeling by the core of the Libyan populace and their desire for positive and democratic change. That desire can not be repressed by force and terror in the long term. History is littered with such examples; including the very Revolution that toppled the dictator who employed the very same tactics less than three years ago. I had the honour of meeting Salwa during a visit to Triploi. I was struck by her dynamism, determination and positive attitude as set against the environment in which she campaigned tirelessly. The Libyan Government in whatever form it may finally take must now assure that a robust, comprehensive and unwavering investigation into this horrific crime is carried out without delay, even if it must be undertaken in the face of intimidation and terror tactics; as it must for all other crimes perpetrated against the ordinary citizens of Libya. There must be prosecutions of the perpetrators to show that the State is truly effective in its dealing with such crimes and that the rule of law is not ineffective. Failure to grasp this opportunity will otherwise be a further nail in the coffin for democracy and human rights in Libya. Our thoughts and prayers must now be with Salwa’s family, friends and her colleagues who continue their struggle in the face of such difficult and dangerous circumstances. David Hammond works between London and Tripoli and currently represents victims of serious sexual and violence offences in Libya.